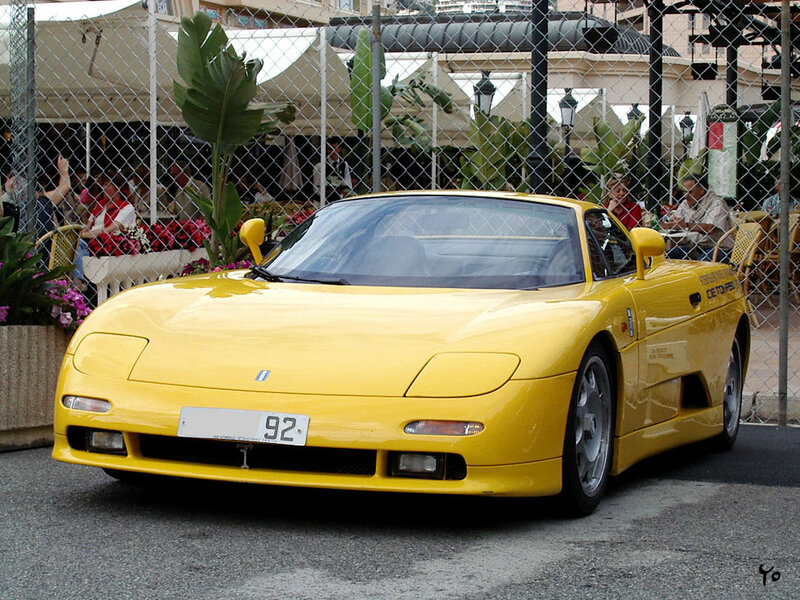 The De Tomaso Guarà is based on the Maserati Barchetta Stradale prototype from 1991. 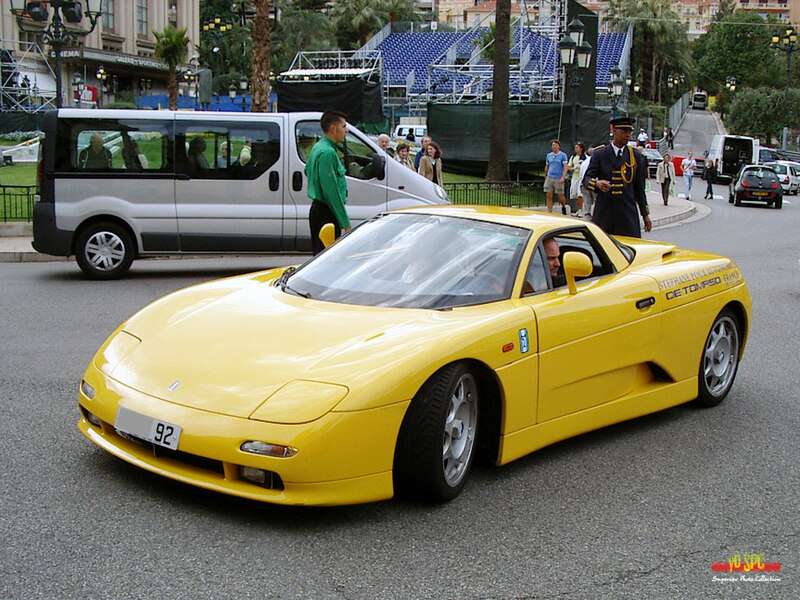 The Guarà was launched at the 1993 Geneva Motor Show. 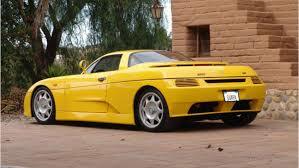 It came in both a coupé, spider and also as an open barchetta. Fibreglass, Kevlar, and other composites make the body shell, fitted to a backbone chassis. The suspension is true Formula 1 and IndyCar technology with independent upper and lower wishbone with pushrod front and rear end suspension. The Guarà is known for its highly agile handling which makes it a bit too “nervous” for the average driver. The Guarà has no luggage space at all, the area under the front being taken up by the racing-style suspension. The large, distinct rims are by Marchesini. 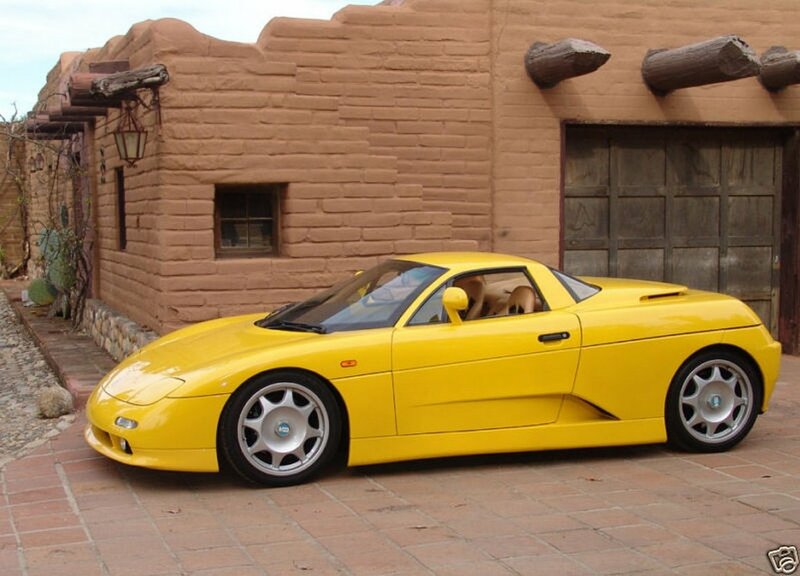 First, the Guarà was built using technology and interior parts from BMW but later all cars came equipped with Ford/Visteon (Canada) parts and engines. 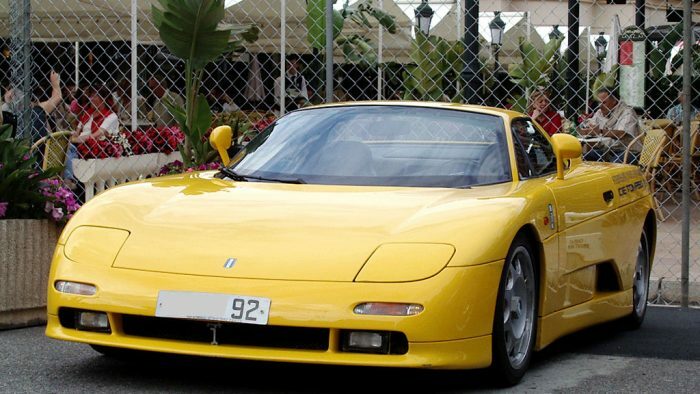 The Guarà was never homologated for US sale, although one engineless example was sent to the US importer of De Tomasos. However, at least one of the Ford powered Guarà coupés has been imported into the US and has California license plates. Production ceased when De Tomaso switched to the Ford engine as the new powerplant did not leave enough room for the canvas. 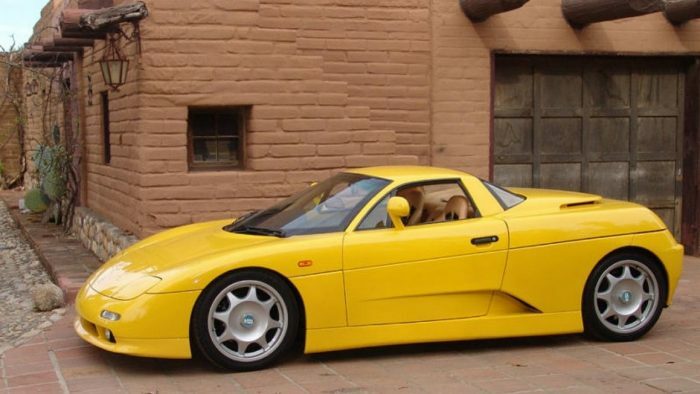 As for the Maserati Barchetta the designer is Carlo Gaino of the “Synthesis Design”. 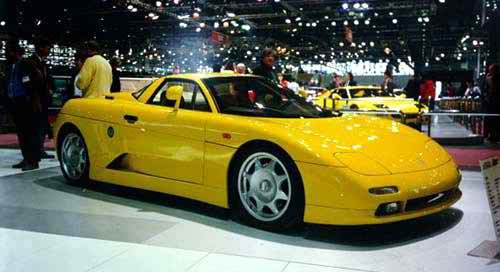 The first cars were sold in 1994 and were selling up till around 2005.